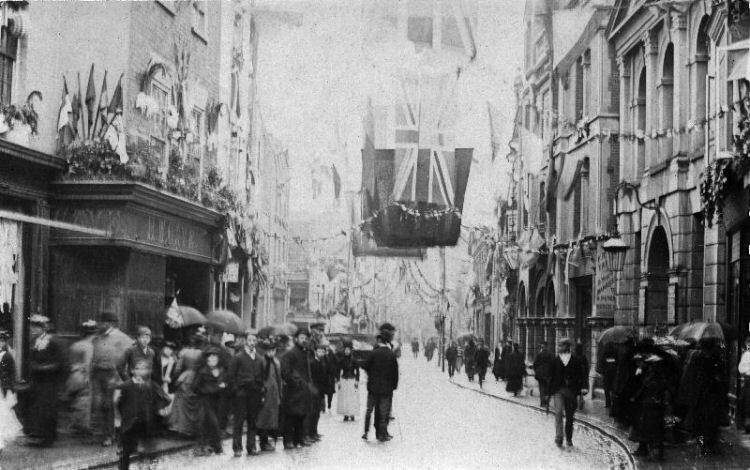 Above shows Queen's Head, date unknown. Above photo kindly supplied by Jeanette Harper, c/o Jackie Bowles of the Louise Armstrong showing Queen's Head on right just to the left of the Salem Baptist Church, pre 1897. Above photo, 1970. Kindly sent by Kathleen Hollingsbee. 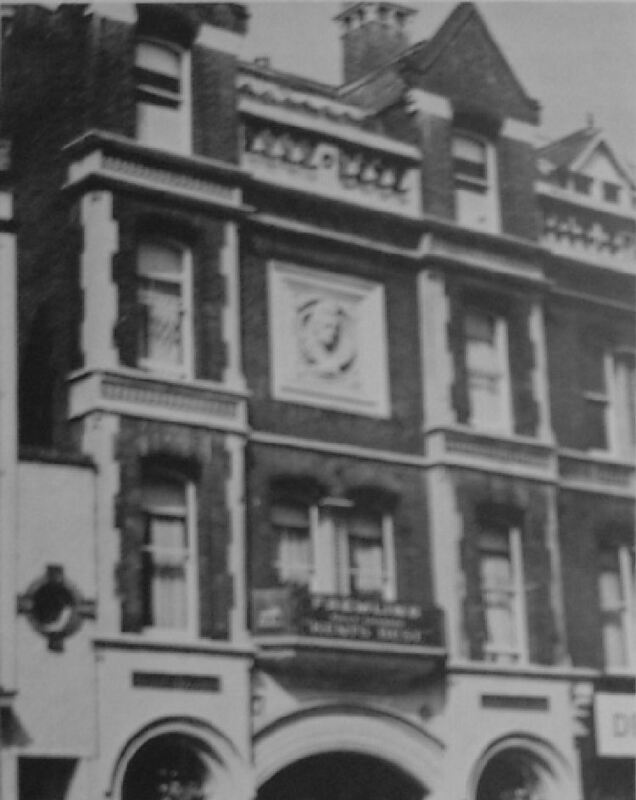 An effigy of the queen's head, presumably Victoria, adorned the front of the building together with the date 1873. That was the house which had been built following the road widening that year. The original had been well forward of that. 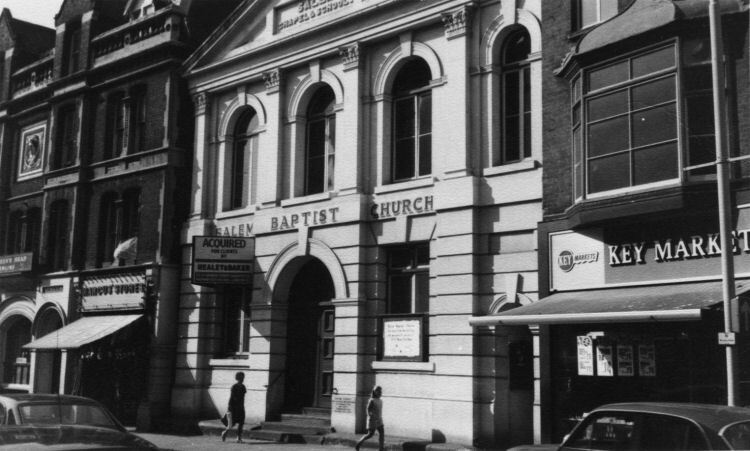 Its neighbour from 27 August 1840 had been the Salem Baptist Church and that possessed a forecourt or front garden. The pub was said to protrude beyond that line. We know that it was active in 1791 under the direction of Elizabeth Purflow or Susannah Smith. I think I have now traced it back even further to 1730, obviously not the same pub referring to Queen Victoria, but definitely with the same name. From the Kentish Post or Canterbury News-Letter, May 16-20, 1730. Kindly sent from Alec Hasenson. Bardoes was the name know known as Barbados. Paul Skelton. Even better news, I believe the pub can now be traced back to as early as 1580. The following reference taken from the Dover Chronicle of April 24, 1841, and referring to manuscript written by William Borough, Controller of the Navy, circa 1580, on the state of Dover harbour and suggesting means for remedying its deficiencies. The start of the article gives mention to Thomas Dawkes as licensee. 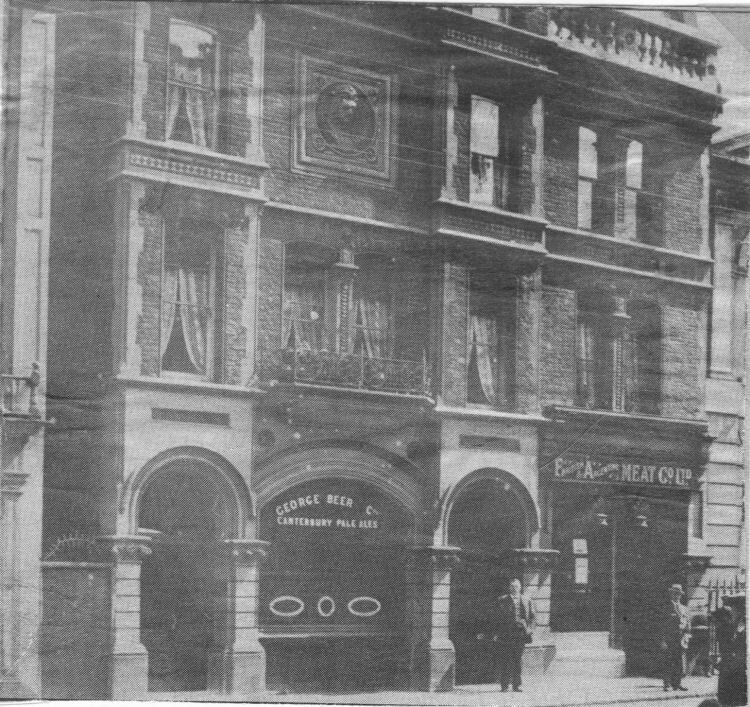 Thomas Dawkes, yeoman, was certainly around in 1558 when it is suggested he built the "Fleur de Lis," later to be named the "Flying Horse Tavern" in King Street near to Flying Horse Lane. From various dates and inferences, this would be between about 1576 to 1580. From the Kentish Gazette, 1 May 1810. Mr Richard HARVEY the present landlord of the “Queen's Head” public house at Dover, formerly drove one of the coaches between that place and Canterbury during that time he lost out of the same a pair of shoes and had forgotten the transaction until yesterday morning, when he received by the post the following letter with a 7 shilling piece under the seal. Being in company with a man who expressed much sorrow and contrition having taken a pair of shoes of yours out of the coach you drove from Dover to Canterbury, while standing in the street, he wishes to make you satisfaction for the injury he did you at that time. He has directed me to send you 7 shilling piece, the price the shoes cost you, then hoping you will forgive the injury done. The shoes was taken in the year 1797 or 1798 – the money is under the seal." It was the property of Walker's Phoenix Brewery when sold for £700 in 1859. Three years later it was damaged by fire, details from the Dover Express shown below. 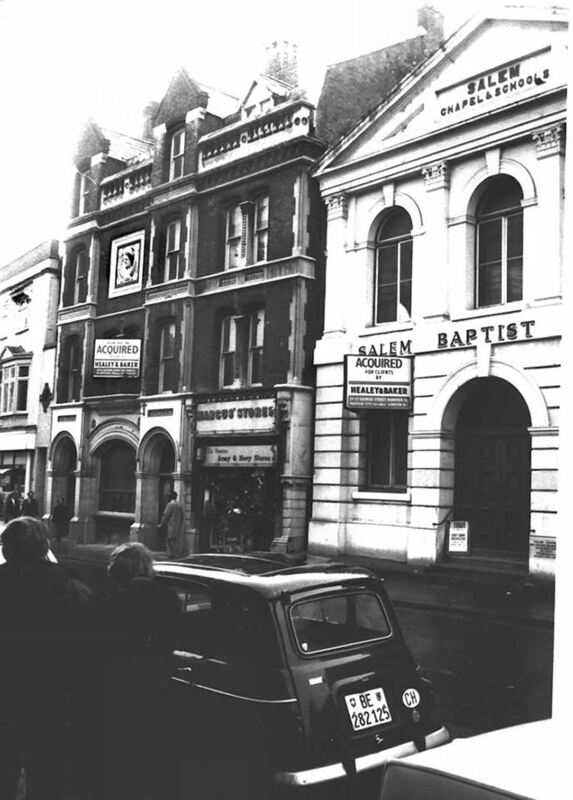 Redevelopment of the site caused the closure of the second house in September 1971 but it stood empty until October 1975 before it was taken down and Boots the chemist erected. From the Dover Telegraph and Cinque Ports General Advertiser, Saturday 24 September, 1842. Price 5d. Yesterday morning, about 7 o'clock, a timber-tug passing down Biggin-street, caught the wheel of a donkey cart, standing outside the "Queen's Head," public house. The concussion was so great as to force the donkey, head foremost, through the tap-room window, to the no small astonishment of an unfortunate wight (human being) who had selected the window seat as his "sleeping den," all the beds at this hotel being occupied. From the Dover Telegraph and Cinque Ports General Advertiser, Saturday 5 February, 1853. Price 5d. MONDAY - Before the Mayor, W. Cocke, W. F. Elsted, J. Coleman, and H. Elve, Esqrs. Ann Griggs, widow, described as a prostitute, was placed at the bar on a charge of felony. Thomas Bean, labourer, residing in Lady well Lane, deposed - I was with the prisoner on Saturday evening, at the "Queen's Head." We engaged a bed there. On Sunday morning, I found, on dressing, that all my money was gone, and charged Griggs with the theft. She denied taking the money. I told her if she didn't give it up, I should send for a policeman. She still persisted in he denial, and at this moment police constable Terry passed, whom I called, and into whose custody I gave the prisoner. I cannot say exactly how much was stolen from me, by within a 6d. of 7s. either way. There was one half crown among the money. Policeman Terry deposed to apprehending Griggs at about seven o'clock, on Sunday morning. On going to the station, she said she had only a shilling and a few coppers in her pocket. Prosecutor said there was a half-crown among the money. Mary Ann Coram, daughter of Superintendent Coram said she searched the prisoner at the police station, and in one pocket found 1s. 3¼d., and 3s. 3d. in silver, (tied in the corner of a handkerchief,) and a half crown in another pocket. Prisoner said, "the money you found in the first pocket is mine, the other is not." No defence was made, and the prisoner was committed for trial. From the Dover Express and East Kent Intelligencer, 28 May, 1859. Eliza Rand, a slatternly and ill-clad woman, was brought up, charged with begging in Castle Street on the preceding day, in a state of drunkenness. The policeman who had taken her into custody said he saw her ask several persons for a halfpenny. The prisoner was a well-known vagrant, and had been lodging at the "Queen's Head" public house. The superintendent said that complaints had reached him on the previous day with respect to the insolent behaviour of the prisoner. From what was then stated it appeared that she had begged off some gentlemen at the "Shakespeare Hotel," to whom her language was most disgraceful. Her conversation at the station-house was also very obscene. The Magistrates sent her to prison for fourteen days, with hard labour. From the Dover Express. September 1862. On Sunday a fire originated in a carpenter shop at the back of The Queens Head public house in Biggin Street which for a short time caused considerable alarm. The proprietor of the Queens Head, Mr Whitney is a carpenter by trade and had a small shop at the rear of his house adjoining the Salem Chapel and in close proximity to the timber yard of Mr Finnis. The origin of the fire is unknown but it was discovered between seven and eight o'clock in the morning. A few members of the Salem Chapel congregation were engaged at the time in early devotional exercise in the school room attached to the Chapel, which overlooks the scene of the fire, and to this circumstance may be attributed to the speedy suppression of the conflagration. On the calamity becoming known the service was suspended and all those engaged in it that were capable of giving assistance did their best to extinguish the flames. Meanwhile the alarm was raised and the volunteer fire brigade with their apparatus was promptly in attendance under the direction of Mr. Superintendent Coram. The water mains were charged at the time, as there was therefore a copious supply of water at a pressure that speedily put flight of all apprehensions of further damage. Some of the Chapel windows were broken some gas pipes melted and a staircase leading to the schoolroom was considerably scorched so that if aid had not been rendered in the most prompt and effectual manner the consequence to the edifice and the surrounding property would have been most disastrous. In addition to a large store of timber there were nearly fifty barrels of tar on the premises of Mr. Finnis. The carpenter's shop was entirely destroyed together with a number of valuable tools it contained. The police report that a man was brought before the magistrates on suspicion of setting the place on fire, but the Bench considered the evidence produced too vague to justify his detention and he was therefore set at liberty again. Mr. R. H. Jones the owner of some adjoining property has addressed the following letter to the members of the volunteer fire brigade. To the volunteer fire brigade Dover. Gentleman, Your services at the fire on Sunday morning last have placed me under great obligation to you for which I beg to thank you most sincerely. I regret my absence prevents me from personally thanking you. Although your services are voluntary I hope you will permit me to send you a “check” for £5 as on the other side which can be placed to the credit of your treasurer towards the necessary expenses attendant on your service or otherwise disposed of as you may think fit. Again thanking you for your ascertains believe me. Your obliged and faithful servant R. H. Jones. September 1862. Information kindly supplied by Joyce Banks. From the Dover Express and East Kent Intelligencer, 10 August, 1866. John Andrews was charged with being drunk, and assaulting a German musician in the "Queen's Head," Biggin Street. It appears that the prisoner is a low and desperate character. Police-constable John Adams said that while on duty his attention was called to the "Queen's Head." On his approach he found the prisoner very drunk. He had been striking a German, who was simply passing from his bedroom out of doors, when the prisoner asked him to play a tune, when the German remarked hat he had not time. The prisoner immediately struck him in the face, and caused the blood to flow copiously from his nose, and in the struggle they both fell, and the prisoner was taken into custody. The German not appearing against the prisoner, he was fined 2s. only. From the Dover Express and East Kent News, Friday, 18 September, 1868. Anastasia Reed, a married woman, who said she was lodging at the "Queen's Head," was charged with drunkenness and disorderly conduct in York Street. It appeared that Anastasia had been taken into custody on the previous night by Police-sergeant Barton, who found her divested of a great part of her clothing and "stripping into" a navvy. She made her appearance before the Bench minus a bonnet and boots, which, she informed the Magistrates, with tears in her eyes, she had lost beyond hope of recovery. She had been in town, she said, a week - up to Monday last with her husband. He, however, went on to Folkestone on that day, and left directions for her to follow him. Had she taken his good advice her incarceration would have been avoided, but she fell too readily into the hands of some friends who invited her to drink, and unfortunately she took a sip too much. She assured the Magistrates, if he would forgive her, that she would be on her way to Folkestone in ten minutes. Sergeant Barton said the language of the prisoner, on being taken into custody, was the worst he had ever heard from female lips; but the prisoner attributed all her misfortunes to the drink, and submitted that she had already been punished by the loss of her bonnet and boots. She also mentioned that she had been washing her clothes previously to yielding to the temptation of drinking with her friends; but where her clothes were now she had no notion, although she feared they had been "taken in" by some one who had no right to them. Superintendent Coram said he had no doubt the prisoner would find her clothes and her other property safe enough at the "Queen's Head." Mr. Mummery said he would allow her ten minutes to go to the "Queen's Head" and pack up her clothes and get upon her journey to Folkestone. A policeman would go with her and see her out of the town; and if she was found here again the present charge, which would be kept open against her, would be gone into. The prisoner quickly availed herself of the clemency of the Magistrates, and left the Court at a pace which showed her determination to make the best use of the limited time allowed her. From the Dover Express and East Kent News, Friday, 6 August, 1869. James Moore, a broken-down Irishman, whose clothes were so ragged as barely to hang upon him, was charged with being drunk and disorderly in Snargate Street on Saturday night. It appeared from the evidence of police-constable Bowles, who had taken the prisoner into custody, that he met him in Snargate Street between 11 and 12 o'clock Saturday night. The prisoner had been put out of a public-house and was extremely drunk and very disorderly. Witness tried to get him away, and the prisoner finally promised to go home to the "Queen's Head," where he was lodging. On witness passing down the street, shortly afterwards, however, he found the prisoner still occupying the pavement in the manner stated, and still more violent and excited than before, the prisoner now having his coat off and expressing himself prepared to fight all corners. Witness endeavoured to pacify him, and offered to conduct him to his lodgings, but the prisoner declined at avail himself of this service or to modify his bellicose spirit, and witness therefore obtained assistance and conveyed him to the station-house. The prisoner said he was very sorry for the trouble he had given to the police. He had drunk so much on Saturday night as to be quite unconscious of anything that took place after he was put out of the public-house. If the Magistrates would release him he would be out of the town in five minutes and never return to it. The magistrates taking into consideration that the prisoner had been in custody since Saturday night, took him at his word, but informed him that a policeman would accompany him to the limits of the borough, and that if he was found returning he would be again taken up and the charge proceeded withy. From the Deal, Walmer, and Sandwich Mercury, 23 October, 1869. 1d. John Young, a man remanded from the previous day on a charge of being drunk and disorderly and assaulting the police, was again brought up. The depositions of P.C. Ralph taken on the previous day having been read over, the prisoner was asked what he had to say in answer to the charge. He said he was a fish-seller, and belonged to Dover, and went round the villages with his fish. He was out on the Deal road on Monday, when he met two sailors, who asked him to have something to drink, and gave him some gin. He drank it, and not being accustomed to liquor it made him so drunk that he lost all his fish and wandered into Walmer. When he went to the constable's house he must have supposed it was the "Queen's Head," the house at which he lodged in Dover. He was very sorry for what he had done, and as he had a wife and two children who were dependent upon him, he hoped the Magistrates would only inflict a small fine and not send him to prison. P.C. Ralph said that before he took the prisoner into custody on Monday night he had been locked up in the guardroom by the orders of Colonel Rodney, who saw him steal some bread from a barrow of Mr. Cayley. Prisoner pleaded very hard for the Magistrates not to send him to gaol. The Magistrates said if they could believe the prisoner was a respectable fish-seller they would not do so. In spite of his plausible story, however, they were afraid he was no good, and he would therefore go to prison for seven days. From the Dover Express and East Kent Intelligencer, 31 March, 1871. Price 1d. George Wigglesworth, the man brought up on Friday last, charged with having in his possession at the "Queen's Head," public-house, a dead fowl supposed to have been stolen, was again brought up, but on the application of the police was further remanded till Thursday. From the Dover Express and East Kent Intelligencer, 19 March, 1875. Price 1d. An extension of time for a private ball was granted to Miss Honeyset, of the "Queen's Head Inn." 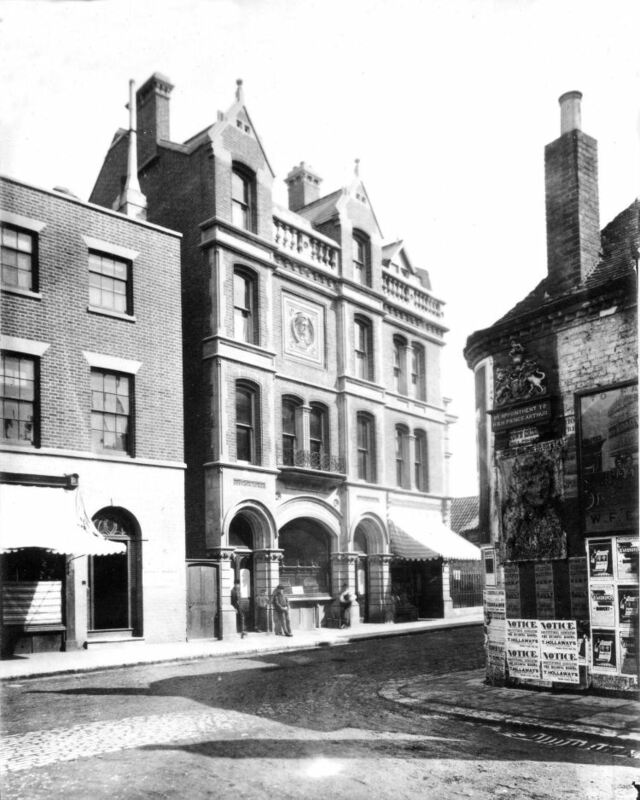 The license of the "Queen's Head" public house, Biggin Street, was transferred from the present tenant to Mr. Henry Nutley. We erroneously stated in our police report last week that the "Queen's Head" license had been transferred. The statement referred to another house. John Knott was charged with being drunk and disorderly in Biggin Street on the previous day. He was standing with a number of others by the “Queen's Head” on the pavement, and refused to “move on” when told. He was very disorderly, and was taken into custody. The defendant was dismissed with a caution. From the Dover Express and East Kent News, Friday, 27 January, 1888. Price 1d. The annual meeting of the Court “Kent,” No. 1638, of the Ancient Order of Foresters, was opened by the Chief Ranger, Bro. Henry Heath Toms, at the Court Room, “Queen's Head Inn,” on Tuesday, 24th instant, there being a large number of members in attendance. The abstract balance sheet for the past year was then read by the acting Secretary, Brother Richard Henry Keeler, showing:- Receipts to sick and funeral fund £1,004 18s. 4d., payments £814 7s. 6d. ; receipts to management fund £90 18s. 9d., payments £101 6s. 1d. ; receipts to benevolent fund £18 10s. 4½d., payments £12 15s. 11½d. ; receipts to medical fund £118 18s. 10d., payments £118 18s. 10d, making the total receipts £1,233 6s. 4d., total payments £1,047 8s. 4½d., leaving a balance or saving on the year of £185 17s. 11½d., and a total capital £5,552 10s. 6½d. The report was well received. The election of Auditors and Arbitration and Appeal Committee then took place. The balance sheet of the Dover Jubilee Foresters was then read by the Secretary, Brother Richard Henry Keeler. The balance sheet of the Ancient Order of Shepherds, also was read by the Scribe, Bro. William Allen. After a most enjoyable evening, during which many excellent songs were given, the proceedings were brought to a close at 10.30 p.m.
From the Dover Express and East Kent News, Friday, 26 October, 1888. Price 1d. Joseph Murray was charged with stealing from the shop of Walter Hard, 61, Biggin Street, one coat, value 9s. 6d. Walter Hard said he was a clothier and draper carrying on business at 61, Biggin Street. The coat produced was his property and was hanging outside his shop about five o'clock last evening. A police constable came to his shop shortly afterwards, and from what he said witness found that the coat was missing. He was sure the coat was not sold. Charles Johnson, a painter living at 15, Union Road, Buckland, said he saw the prisoner shortly after five o'clock the previous evening. There were two other men with prisoner, who was wearing a light fustian coat. Witness stood by the “Queen's Head” public house and watched the men, as he thought they looked quite suspicious. One man stood by Mr. Morris's, the baker' shop, another by Mr. Cave's and the prisoner was standing between them, looking in at Mr. Hard's window. Witness afterwards saw the prisoner walk away with the coat produced, on his arm, and turn up Priory Street while the other two men turned up Worthington Street and joined the prisoner at the top of Priory Street. They then went along York Street and down New Street. He gave information to the police. Police-constable F. Lawrence, of the Folkestone Police Forse, said in consequence of a telephone message received at the Police Station from Dover, at 8 p.m. he went in search of the man. Shortly before 10 p.m. he was in Dover Street when the prisoner came out of the “Granville” public house wearing the coat. As he answered the description of the man whom he was looking for, he took him into custody and charged him on suspicion of having stolen the coat. At the station prisoner said he had stolen it. The prisoner pleaded “Guilty,” and wished the case to be dealt with summarily. The Magistrates sentenced the prisoner to one month's imprisonment with hard labour. The message was sent back to the Folkestone Police at half-past seven, and by ten o'clock the man was in custody. From the Dover Express and East Kent News, Friday, 7 February, 1890. The annual meeting of Court “Kent,” Ancient order of Foresters took place at the court house, Bro. Holloway's “Queen's Head Inn,” Biggin Street, on Tuesday evening last, Bro. G. H. Southey, Past Chief Ranger, presiding. The Secretary (Bro. R. H. Keeler) read the balance-sheet, which proved satisfactory. The Sick and Funeral Fund shows a gain of £335 11s. 9d., and the Subsisting Fund a gain of £6 6s. 5d. but on the Management Fund there has been a loss of £12 13s. 9½d., leaving the Society a total gain on the year of £329 4s. 4½d. the Society has paid to sick members during the year a sum of £534 6s. 6d., and for funeral allowances to five members and six members' wives £156. The total funds of the Court amount to £6,150 5s. 1½d., and were invested and disposed on the 30th December as follows:- Corporation Bonds at 4 per cent., £1,900; mortgage on freehold property at 4 per cent., £3,540; cost of £100 Gas-shares averaging 4¾ per cent., £157 2s. 6d. ; Post Office Savings Bank, at 2½ per cent., £487 3s. 11d. ; and in hands of treasurer, £65 18s. 8½d. Thirty-three new members had been admitted during the year, six had died, and fourteen had left by non-payment, leaving the total number of members at 770. There are 419 members wives, and 20 widows on the books. The following members were elected on the Arbitration Committee for the ensuing year:- Bros. T. J. Herbert, T. Goldsack, J. Rogers, R. Howdown, G. Dye, G. Briggs, G. H. Southey, J. Matcham, G. T. Turner, B. A. Trice, T. Henbery, and J. Marsh. Bros. H. J. Struckett and W. J. M. Castle were re-elected Auditors, and Bros. R. S. Hicks was chosen to act in the place of Bro. W. Smitthen, who was elected Assistant Secretary during the past year. The vote for granting the annual subscription to the Dover Hospital was adjourned till the next meeting, in consequence of an objection raised by the medical staff with reference to Bro. E. Terry, who had broken his leg. From the Dover Express and East Kent News, Friday, 20 November, 1891. Price 1d. A new Lodge of Druids was started at the “Queen's Head Inn,” Biggin Street, this week. From the Dover Express and East Kent News, Friday, 27 April, 1900. Price 1d. Walter Smith was charged with being drunk and begging in Biggin Street. The prisoner was sent to seven days' hard labour. From the Dover Express, 13 October, 1916. At the Dover Police Court on Monday, before Captain R. B. Cay, R.N. (in tie chair), Messrs. J. W. Bussey, H. Hobday and Kdward Chitty. The licence of “ The Queen's Head ” was transferred to Mr. Wells, where the late landlord, Mr. Shrimpton, had recently died. Mrs. Shrimpton had temporarily taken over the licence, but was giving it up. Dover Express 18th August 1944. At the Dover Police Court on Friday, before Messrs. G. Golding, W. G. Jeffery, C. Byford and J. H. Brazier and Mrs Binge. 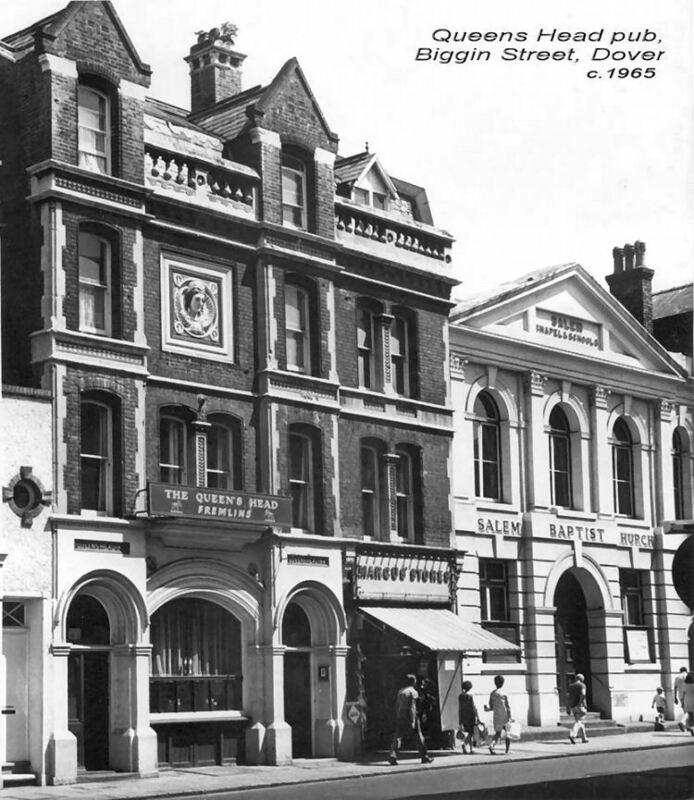 Donald William George Pritchard, Post Office Engineer, “Queen's Head”, Biggin Street, was summoned for riding a bicycle without a rear light in Folkestone Road at 12.20 a.m. on 19th July. Dover Express 21st June 1946. Capel-le-Ferne. Wedding of Miss G. R. Howie. The wedding took place at the Baptist Church, Capel, on Saturday, between Miss Grace Rankine Howie, second daughter of Mr. & Mrs. Andrew Howie of Cauldham Farm, Capel and Mr. Donald Pritchard, son of Mrs. and the late Mr. Pritchard of the "Queen’s Head" Hotel, Dover. The service, which was fully choral, was conducted by the Rev. L. A. Bayly (Baptist Minister of Salem, Dover) with Mrs. J. Chidwick at the organ. The bride, who was given away by her father, was attired in a white satin gown and veil and carried a shower bouquet of red roses. She was attended by Miss M. Howie and Miss J. Howie (bride’s sisters) who wore powder blue gowns with turbans of pale blue and pale pink and carried bouquets of blue and pink sweet peas. The best man was Mr. G. E. Jackson (bridegroom’s brother in law). A Guard of Honour of the Capel 1st Girl Guides formed outside the church, the bride having been a Lieut of the company for a number of years. A reception was held at the home of the bride, where about 70 guests were present. The honeymoon was spent motoring in Devonshire, the bride travelling in a blue costume with accessories to match. Mr. & Mrs. D. Pritchard were the recipients of many presents, including a canteen of cutlery from the Dover Post Office.